Ms. Pezold will be showing the picture slideshow for the 8th grade band on Wednesday, May 25 during their class period. Since the Award Ceremony takes place at the same time, all 8th grade band students involved in the ceremony are invited to come to the band room right after the awards’ ceremony in order to see the slideshow. Administration has given approval and teachers have been notified, so no need to worry about missing their next class. The slideshow will take about 20 minutes. It is a great tribute to the past 3 years of band! Congratulations to 7th Grade, 8th Grade, & Jazz Bands! The Spring Concert for all members of the 7th Grade Band, 8th Grade Band, and Jazz Band was a tremendous success! Thank you to all of the students for their continued hard work this year as we ended the year in grand style — from music about pirates to superheroes to great jazz! Thanks to the 8th grade band students for my beautiful flowers! As I write this, I am reminded of the amazing twelve years I’ve had here at East Cobb. The kids who have come through the band room doors have brightened my world, made me shake my head, and kept me young (or so I think!). East Cobb will always hold a special place in my heart and I have wonderful memories that I will cherish forever. It is time, however, for the next chapter in my life, which means stepping outside of my comfort zone to pursue another opportunity. Change is tough for me, as I like to keep pressing forward doing what I know is right, but sometimes that path takes you in a new direction. 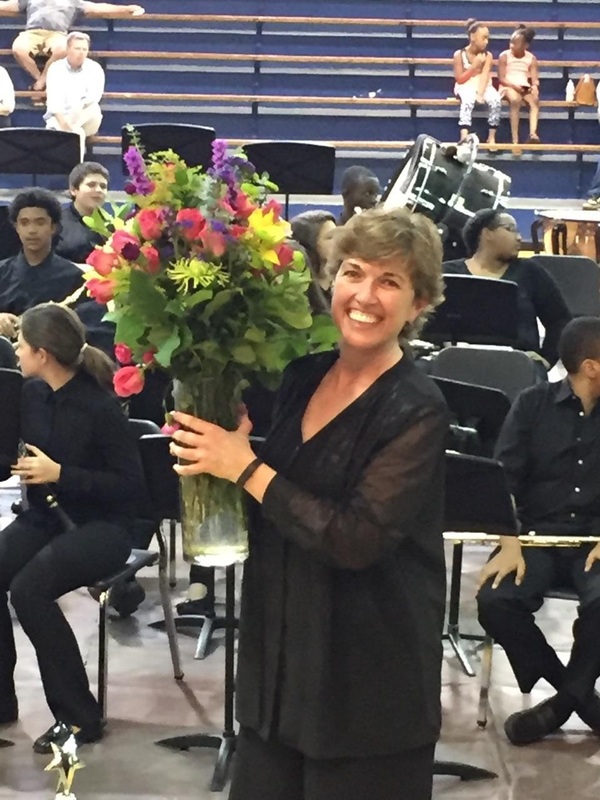 I have cultivated what I consider an outstanding band program here at ECMS, and I hope that many kids will take their love of music with them for the rest of their lives, as well as many life and character-building skills that we continuously work on every day. My wish for all of you is to follow your heart, be kind to one another, and always strive to find ways to make the world a better place. There are many opportunities for middle school students to participate in summer band camps, most of which last about one week. There are several located in Cobb County, but there are others close by as well (Georgia, South Carolina, Alabama). Please check out the attached list for further details. Contact either Ms. Pezold or Mr. Doss with any questions. The 7th Grade Band, 8th Grade Band, and Jazz Band will present their final concert on Tuesday, May 17th at 7 p.m. in the ECMS Gym. All students received a reminder with details in class yesterday, plus it is also available here. We are looking forward to a great concert to finish off the school year! 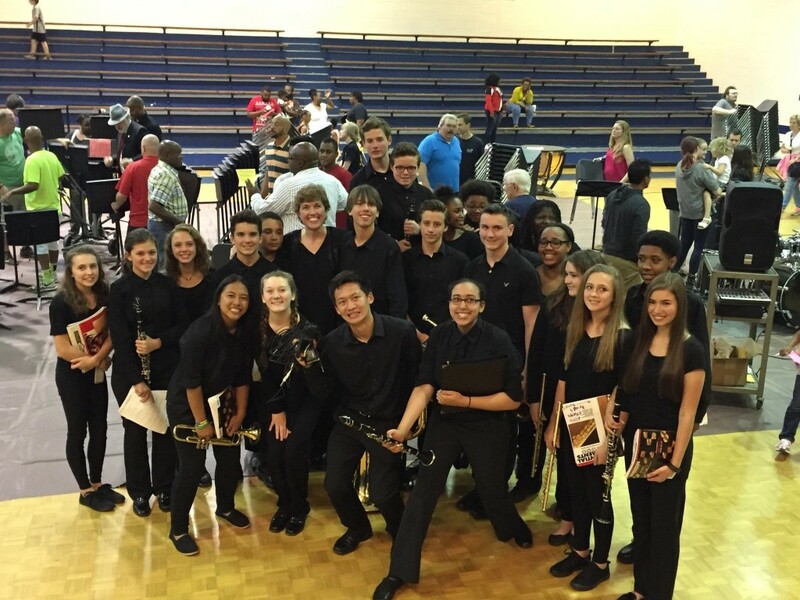 Congratulations to members of the ECMS Jazz Band for a fabulous evening of music-making on Tuesday, April 26th at our 8th Annual Sweets ‘N Swing Collaboration Concert with the Wheeler High School Jazz Band. Congratulations to all members of the ECMS 6th Grade Band for an outstanding performance at the 6th Grade Night of the Arts on Thursday, May 5th. The students worked extremely hard to prepare for this concert and made their directors and parents incredibly proud! Congratulations to members of the ECMS 8th Grade Band for their SUPERIOR performance at the Music in the Parks Festival on Saturday, May 7th in Tennessee. The students performed incredibly well and brought home a beautiful trophy! The 8th Grade Band Trip is next Saturday, May 7th! Students should have everything turned in at this point: permission form, notarized medical form, and all necessary fees. Students need to report to ECMS at 6:30 a.m.
Chick-Fil-A breakfast will be provided in the ECMS Cafeteria before we motor up to Tennessee. They will receive a $10 voucher for lunch in the park – everything else will be at their own expense. Park food is pretty expensive, so plan accordingly. The 6th Grade Night of the Arts will take place this coming Thursday, May 5th at 7 p.m. Band, Chorus, and Orchestra students will be performing in the ECMS Gym, plus art work from 6th grade students will be on display. We hope you can join us for a wonderful evening as we showcase the wonderful talents of our 6th graders! The 8th Annual Sweets ‘N Swing Jazz Concert will take place on Tuesday, April 26th at 7 p.m. in the ECMS Cafeteria. The ECMS Jazz Band will perform, followed by the Wheeler HS Jazz Band, and then we will join together for the final selection. This is a wonderful event filled with desserts and great jazz, so please plan to join us next Tuesday. Thank you for your continued support of the band program here at ECMS! 8th Grade Band Spring Trip to Tennessee!! Many members of the 8th Grade Band are preparing to participate in the Music in the Parks Festival on Saturday, May 7th — information packet is included here for reference. All participating students received a payment reminder back in February with their individual payment amount that is now past due. The total cost of the trip is $125 (originally $175, but the price was reduced due to being able to reduce from 2 buses to 1 bus). Parents due a refund were contacted earlier this month via email about sending a refund request in writing to our bookkeeper. Please contact Ms. Pezold if you have any questions or concerns. Krista.Pezold@cobbk12.org; (770) 578-2740, ext. 302. We are looking forward to a great trip! Krista Pezold on Music Department Fundraiser is Coming! !